Sierra Leone, Liberia Ebola workers' strikes: Complaints about pay, safety equipment. 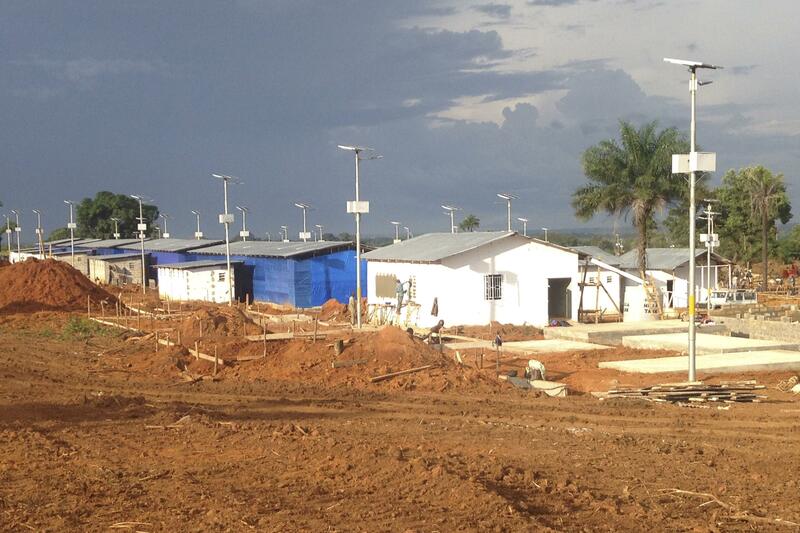 A treatment center being built in Freetown, Sierra Leone. … in a radio interview Wednesday morning, Sierra Leone’s deputy health minister Madina Rahman said the strike had been “resolved.” Later in the day, a team could be seen loading bodies outside a government hospital for burial in the west of Freetown. The team’s leader declined to be interviewed but said members had been promised hazard pay by the end of the day. Rahman said the dispute centered on a one-week backlog for hazard pay that had been deposited in the bank but was not given to burial teams on time. The workers in Liberia say they want to be provided with protective equipment and to have their pay increased to $700 a month from an average of approximately $500. This isn’t the first incident of health-professional protest in the outbreak zone: Liberian nurses went on strike last month, as did hospital staff in Sierra Leone.